The Cobler Rocks walk takes in some of the striking coastline of the Mount William National Park. The walk is mostly flat, transitioning from fire trails onto beach walking. There is no drinking water provided along this track. 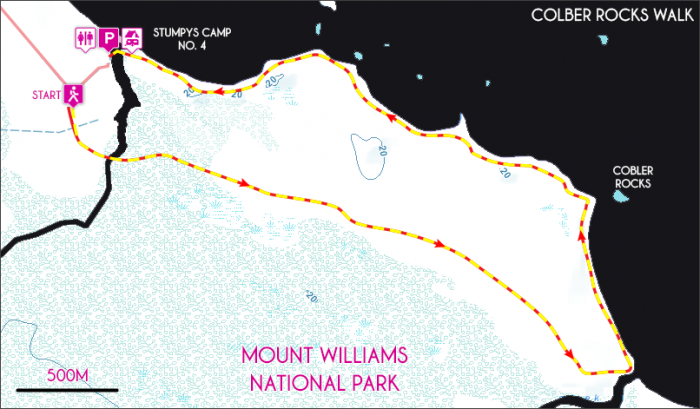 The start of the walk is clearly signposted just outside of the Stumpys Bay no. 4 camping area. From here the trail heads over lightly undulating xanthorrhoea and banksia filled heathland for 2.5km before reaching the beach adjacent to Cobler Rocks. Looking back from this here the squat peak of Mount William can be seen to the west. From the beach a short side track south leads to Cod Bay where vast views the southern edge of the Park are seen. To the north back towards Stumpys Bay, a series of long sweeping beaches provide your return track. This section of the walk as beautiful as it is remote and care must be taken when skirting the rocky outcrops. 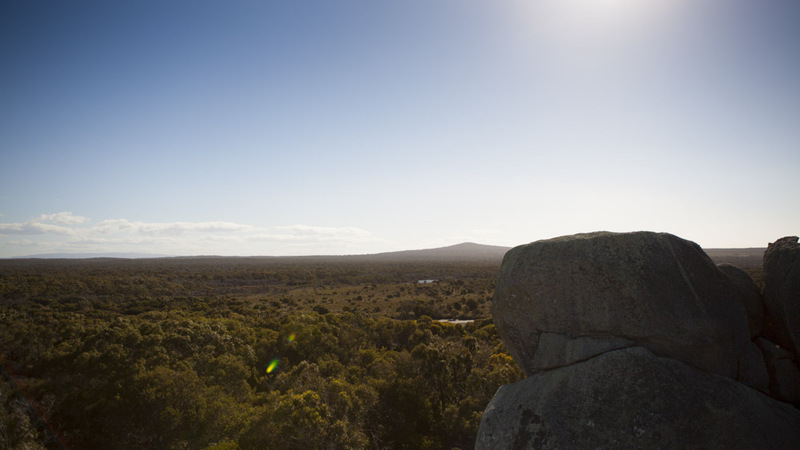 The Mount Williams National Park is home to an abundance of wildlife, forester kangaroos and echidnas are a common sight along the heathland and a number of sea bird species can be spotted off the coast on the return walk to the carpark. View Google Map Directions From St Helens head Northwesterly on the Tasman Highway for 55km before turning right onto Gladstone Road (B82). 25km further turn right onto Carr Street and continue on it for 8km into Gladstone. From Gladstone the gravel road will lead you to the northern entrance to the Park. 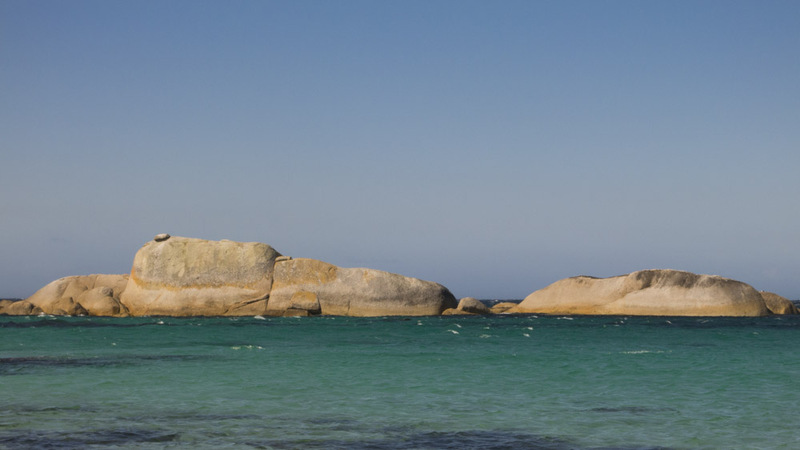 The Cobler Rocks walks start from the Stumpys Bay No.4 campsite.